SpinLife is the ultimate source for mattresses online. 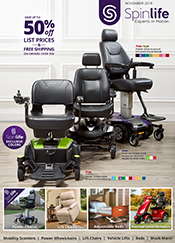 We sell top-of-the-line brands including Hill-Rom, Joerns, Invacare, Drive, and Proactive Medical. Have peace of mind knowing that you will find the best mattress at the best price with our 110% low price guarantee! A good standard option, our selection of innerspring mattresses offer comfort and support for your home health care or long term care bed. The mattresses feature durable, economic construction without skimping on a good night’s rest. Many feature easy-to-clean covers and multiple sizing options, ensuring you find the right mattress for your bed frame. 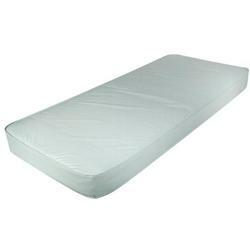 SpinLife’s selection of foam mattresses is our most economical offering. We feature supportive, comfortable foam surfaces that come in a variety of foam types and constructions. 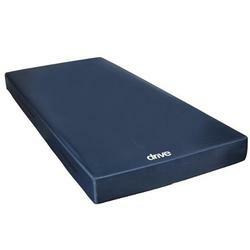 Helpful with pressure redistribution, these foam mattresses are ideal as both short term and long term solutions. SpinLife features a wide selection of air systems help to ensure you stay comfortable while experiencing the pressure redistribution of these alternating air systems. With many coming with battery backups, multiple pressure modes and easy air cell replacements, we have just what you need for your bed. Whether you are looking for a more comfortable night’s sleep or want to turn your existing mattress into a surface that is great for combatting skin breakdown, SpinLife has the right mattress overlay for you. With gel and foam combinations, as well as alternating pressure pads and air cell overlays, your sleep and surface needs can be met. Check out SpinLife’s selection of mattress overlays to find your ideal overlay surface. For mattresses with all the support, pressure redistribution and comfort of a typical mattress, but with the extra weight capacity of a bariatric product, check out SpinLife’s selection of bariatric mattresses. These mattresses are able to support a heavier load without skimping on supportive and comfort features of our selection of regular-sized mattresses. 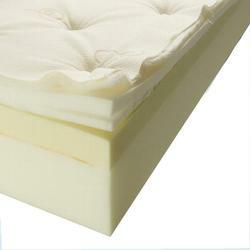 From foam mattresses to air replacement systems, we have the right bariatric mattress for you. If you are looking for a replacement mattress for your adjustable bed, look no further. SpinLife features a selection of adjustable bed mattresses to fit your needs and comfort. Adjustable bed mattresses are designed to move with the bed, keeping you comfortable, no matter the position. With mattresses featuring innerspring, memory foam and low-profile designs, we have an adjustable mattress to fit what you’re looking for. Innerspring Mattresses are the most traditional mattress option and are great if you're looking for a mattress that's low maintenance. Innerspring mattresses use metal coils that are as their primary source of support, and are often offered in soft, medium, and firm for each user's preference. While innerspring mattresses are a classic choice for a typical night's rest and are very budget-friendly, they are not recommended for individuals with pressure sore concerns or for users that will be in bed throughout the day. Foam Mattresses are made of one or more layers of foam and come in a wide range of models to accommodate different needs. There are models that are just for comfort and models that provide medical benefits like pressure redistribution and protection against skin shears. Foam mattresses can also feature micro cuts and special breathable covers to increase air circulation and regulate temperature. Air Systems provide the highest level of pressure redistribution and the most protection against skin breakdown out of all mattress types. Air systems utilize alternating pressure and low air loss therapy to protect against pressure ulcers. 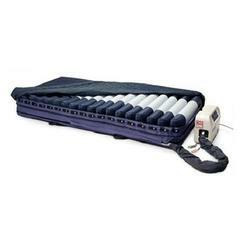 Air systems are ideal for users who are bed ridden or have trouble repositioning on their own. If you or your loved one needs assistance with repositioning, look for air systems with a 'lateral rotation' feature. Lateral rotation gently turns the body up to 45° from one side to another to prevent fluid buildup in the lungs. Mattress Overlays come in a range of varieties for different uses. Overlays can be comprised of foam, static air cells, and even alternating pressure air cells for mild to moderate pressure redistribution. Mattress overlays are great supplements to your existing mattress and are an economical way to add an extra layer of comfort to your bed. We love that overlays increase comfort, can improve the distribution of pressure on the body, and improve the overall comfort of your bed. 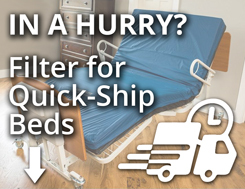 Keep in mind that overlays are not recommended to be used as a primary sleeping surface or used in place of a foam mattress or air system if an individual has specific medical needs. 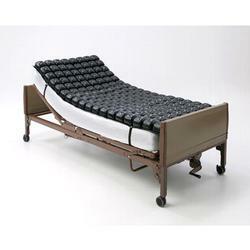 Bariatric Mattresses cater to users that need a higher weight capacity and can accommodate weights of up to 1000 lbs. 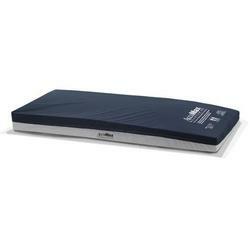 Our selection of bariatric mattresses range from foam models that suit users with more general needs to specialized foam models and air systems that are designed for users that need a more advanced level of care. Adjustable Bed Mattresses are usually multi-layered foam or foam/innerspring combination surfaces to ensure that the mattress properly moves and adjusts as the bed frame repositions. These mattresses are durable and are designed to withstand frequent adjustments, so you can be sure your mattress won't wear prematurely. We offer a wide range of mattresses including memory foam, gel memory foam, latex, and innerspring/memory foam combos, as well as models that feature pillow tops. Each mattress is also available in multiple sizes to accommodate your current adjustable bed frame.